The body of sin, however, is not inactive. In the areas where we lack knowledge and light and where we are not yet made alive, our human spirit is still connected to sinTo commit sin is to consciously do something that you know goes against God’s will. This can be in word, deed, or even thought. (James 1:14-15)... More, and the result is what the Scriptures call deeds of the bodyDeeds of the body are things we realize are wrong only after we have done them, because the Holy Spirit points them out to us; our eyes are opened to the fact that they were wrong. Therefore, anything wrong that we do unconsciously—without our mind or our enlightened self agreeing to it—is a deed of the body. There is no... More. These deeds are done against our will and better judgment—in other words, against the mind that serves the law of God. These deeds must be put to deathIs to overcome the temptations to sin that arise when our lusts and desires draw us to react in ways we know to be evil (i.e. pride, hatred, evil-speaking, envy etc.) It is the act of denying those thoughts and refusing to agree with them. The lust to sin is not only suppressed, but it actually dies. (Romans 8:13; Colossians... More through the Holy Spirit after they have been committed. (Romans 8:13) Paul is referring to these deeds when he says, “But now, it is no longer I who do it, but sin that dwells in me.” Romans 7:17. If I have done these deeds, how can I say that it is no longer I who do it, but sin that dwells in me? It is because my mind was not in agreement. Sin in my members took me—my flesh—captive and forced me to do what I actually hate. Nothing that is born of flesh can ever obey God’s law. After we have been born againBeing born again is an event that takes place in every true Christian’s life at some point. You “put off” your previous way of living and thinking, living according to the lust to sin in your flesh. You are born anew into a life with Christ; you become a new creation that is Spiritual and eternal. “Therefore, if anyone is... More and have received the Spirit of God as a guarantee, that Spirit strives against the flesh, and the flesh against the Spirit. (Galatians 5:17) Where my human spirit has not yet been made alive, the flesh takes the upper hand, and this results in deeds of the body. But when we put these deeds to death by the Spirit as soon as they are committed, the Spirit gets revenge. In this way, the light of knowledge strengthens our will to do right, while at the same time, according to the flesh, we are being restrained by judgment, sufferings and death. Once we receive light about a deed of the body, it belongs to the old man, and along with the old man, it is crucified on the accursed tree and eventually dies in the body of ChristThe body of Christ is made up of all of those who give their lives to serve God in order to come to the fullness of Christ. They work in the ministry that He has appointed them, which differs from person to person, for the edification of themselves and others to bring all to unity. It is made up of... More, together with Him. There is no condemnation for deeds of the body. Paul even thanked God through Jesus Christ our Lord that he served the law of God with his mind, but the law of sin with his flesh. (Romans 7:25) It cannot be any other way. Flesh will always be flesh. Nevertheless, there is hope that the body of sin will be destroyed as the old man is crucified. People ask, “What is the old man, then?” It is that person who lived according to his fleshly lusts and desiresThe desires that we experience that go against God’s will. In other words, a desire for anything sinful. See James 1:14. Also called “sin in the flesh.” Although the expression “youthful lusts” is often thought of in connection with sinful sexual desires, lusts include anything that go against what is good and right in God’s eyes. (2 Timothy 2:22.; Galatians... More, even when he knew better. Now we have been crucified to everything we know to be sin. Where we lack light, however, sin will still manifest itself. But we are not condemned for this because we do not see it yet. The light of the Spirit exposes the deeds of the body. Even these hidden sins are brought before our mind’s eye and must be put to death by the Spirit so that we can live. The body of the sins of the flesh is that body which allows itself to be used by sin in the body. Thus sin reigns. The works that are manifest as a result are called works of the fleshConscious sin; things we know to be sin before we do them. These are not “accidents” but deliberate sins, and they are to be repented from and “put off” at conversion: “Now the works of the flesh are evident, which are: adultery, fornication, uncleanness, lewdness, idolatry, sorcery, hatred, contentions, jealousies, outbursts of wrath, selfish ambitions, dissensions, heresies, envy, murders, drunkenness,... More, as opposed to deeds of the body. Works of the flesh are manifest when the mind serves the law of sin, whereas deeds of the body are manifest when the mind serves the law of God. “The works of the flesh are evident, which are: adultery, fornication, uncleanness, lewdness, idolatry, sorcery, hatred, contentions, jealousies, outbursts of wrath, selfish ambitions, dissensions, heresies, envy, murders, drunkenness, revelries, and the like … those who practice such things will not inherit the kingdom of God.” Galatians 5:19-21. The body of the sins of the flesh does works of the flesh, which are transgressions of the law. As a result, the curse of the law is active, convicting the person of sin, because he does not believe in Christ. A person has a body, a soul and a spirit. The old man is the man whose mind is bound to sin in the fleshSin is anything that goes against God’s will and His laws. To commit sin is to transgress or disobey these laws. The lust to sin dwells in human nature. In other words, it is contaminated and motivated by the sinful tendencies that dwell in all people as a result of the fall into sin and disobedience in the garden of Eden. This... More and who makes use of the body of flesh. The new manYour “old man” is your mindset before conversion. It is a state of allowing your lusts and desires to rule in your life; you have not made a conscious decision to resist committing sin. 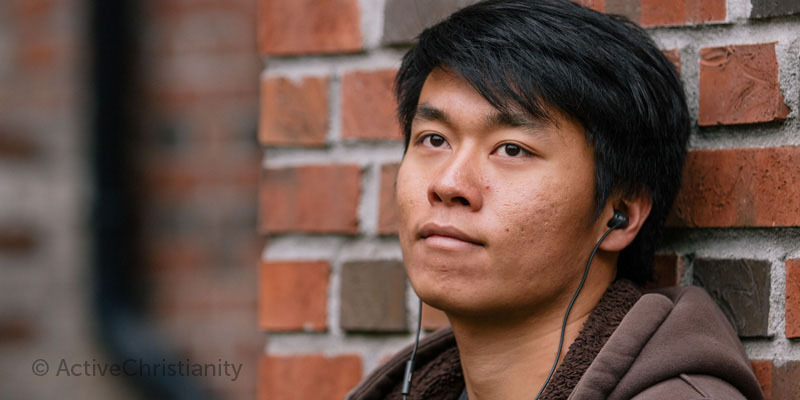 The new man is your mindset after conversion. It is a decision to overcome sin and live in righteousness and holiness. It is the mind to... More serves the law of God with his mind and presents his body as a well-pleasing sacrifice to God as an instrument of righteousness. The old man can now be put off, and must be put off, and the new man put on. This is the same as saying that sin in the flesh must receive its judgment and death in the body of Christ’s flesh. We will receive ample resurrection power to use the members of our bodies for righteousness, in every area where we possess light and life. This is precisely where we find true freedom for our spirit. The flesh, as the slave of Christ, is kept in place and is not allowed to boast of its freedom. As long as we are at home in the body, we are absent from the Lord; but when we leave the body behind, we will be at home with the Lord. “… we shall all be changed—in a moment, in the twinkling of an eye, at the last trumpet. … For this corruptible must put on incorruption, and this mortal must put on immortality. So when this corruptible has put on incorruption, and this mortal has put on immortality, then shall be brought to pass the saying that is written: ‘Death is swallowed up in victory. O Death, where is your sting? O Hades, where is your victory?’” 1 Corinthians 15:51-56. On the resurrection morning when we are clothed with an incorruptible body, we will no longer sigh as Paul did, “Who will deliver me from this body of death?” What is mortal will be swallowed up by life, and then all teachings about the body of sin, the body of the sins of the flesh and the body of death will vanish in the shining light of the glorified body. Nonetheless, as long as we are at home in this tent, we need these teachings of Christ so that we can learn to put everything in its rightful place and overcome sin, so our glorified body can become even more glorious. In the resurrection of the dead, one will have the glory of the sun, one the glory of the moon and another the glory of the stars. Let us be diligent so that we can have an abundant entrance into God’s eternal kingdom. This article has been translated from Norwegian and was first published under the title, “Our corruptible bodies: Led by the Spirit or by sin?” in BCC’s periodical Skjulte Skatter (Hidden Treasures) in November 1915. You may be interested in reading more articles by Johan Oscar Smith here. Overcoming sinWhat does the Bible say? 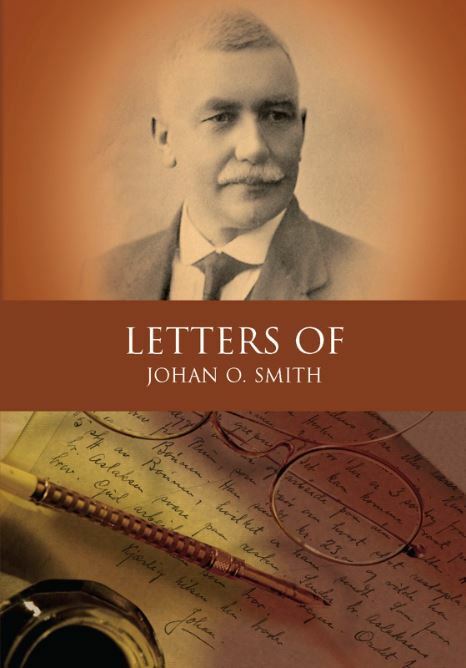 An incredibly rich and insightful collection of Letters by Johan Oscar Smith, founder of Brunstad Christian Church. Here is a small selection of verses about God’s glorious promise to us: victory over sin“Victory over sin” means that you do not commit conscious sin – that which you know would be sin at that time when you are tempted. It doesn’t mean that you are without sin, but that temptation is overcome before it can become sin. (Romans 8:37; 1 Corinthians 15:57; Revelation 2:7)... More! God’s Word is a vital weapon that we need to ensure that we will be victorious over any sinSin is anything that goes against God’s will and His laws. To commit sin is to transgress or disobey these laws. The lust to sin dwells in human nature. In other words, it is contaminated and motivated by the sinful tendencies that dwell in all people as a result of the fall into sin and disobedience in the garden of Eden. This... More that we find in our fleshSin is anything that goes against God’s will and His laws. To commit sin is to transgress or disobey these laws. The lust to sin dwells in human nature. In other words, it is contaminated and motivated by the sinful tendencies that dwell in all people as a result of the fall into sin and disobedience in the garden of Eden. This... More. What does the Bible say about envy? It is not a sinSin is anything that goes against God’s will and His laws. To commit sin is to transgress or disobey these laws. The lust to sin dwells in human nature. In other words, it is contaminated and motivated by the sinful tendencies that dwell in all people as a result of the fall into sin and disobedience in the garden of Eden. This... More to be tempted to envy, but if it is allowed to live and fester, it becomes destructive.